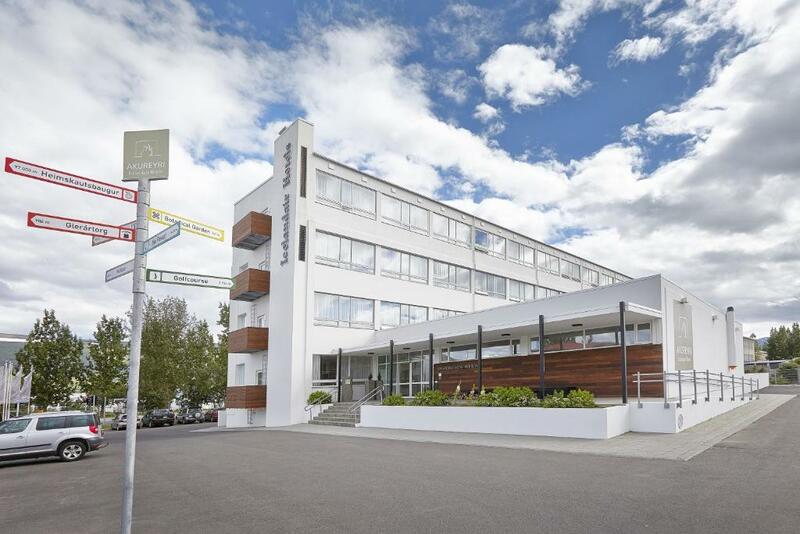 Lock in a great price for Icelandair Hotel Akureyri – rated 8.7 by recent guests! Practically everything! 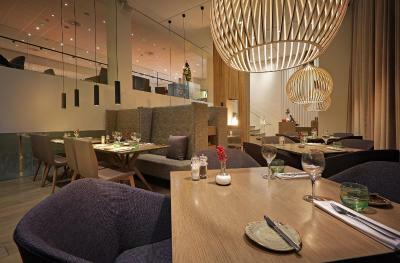 Modern hotel, great food, kind staff! Nice room. Hotel had a large free parking area. Breakfast was good. Good restaurant at the hotel. Great rooms and a excellent restaurant on the ground floor. The reservation with Booking.com was not on record with the hotel when we arrived. Location was great. Across the street from public pool. Plenty of free parking. Breakfast was outstanding. 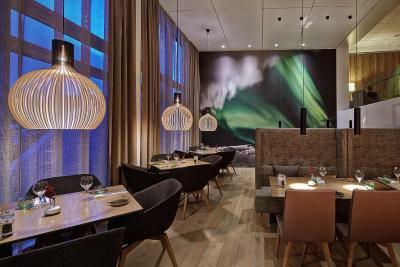 Made us wish we were spending more time in Akureyri. We're a family of 4 with two kids ages 8 & 9. We stayed in the family room in July 2018. The kids liked the bunk beds, and there is a wall which separates the bunk beds from the king bed. The hotel is right across the street from the Sundlaug public swimming pool & a small park there with a great trampoline that the kids loved. A Krambud supermarket & the botanical gardens are a short walk away. It's a big hotel, but the rooms are quiet. The walk to the main part of town is not far, but it is down a fairly steep hill. Room was clean and well furnished. 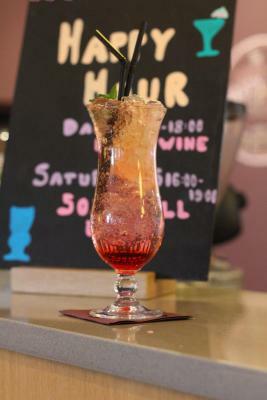 Staff was friendly and you are very close to the restaurants / town center. The view! The staff. The public areas. The rooms. The WiFi. The breakfast. All awesome! Close to the Rub 23 restaurant!!!!!! Great location! Very nice staff! 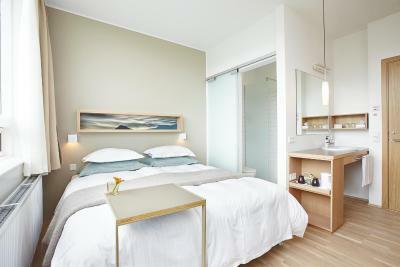 Rooms are spacious and very clean. Breakfast was excellent! 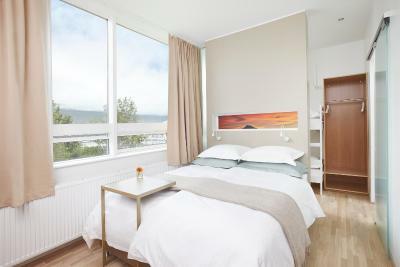 Icelandair Hotel Akureyri This rating is a reflection of how the property compares to the industry standard when it comes to price, facilities and services available. It's based on a self-evaluation by the property. Use this rating to help choose your stay! Located in Akureyri, this hotel offers fresh rooms with a TV and seating area. 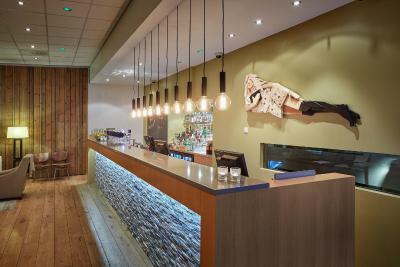 Facilities include a restaurant and a lounge bar. Hlídarfjall Ski Resort is 3.1 mi away. 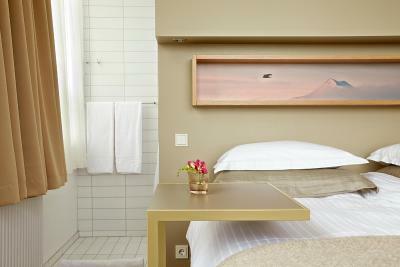 All rooms at Icelandair Hotel Akureyri feature modern décor and wooden floors. Tea and coffee facilities are provided in each room. 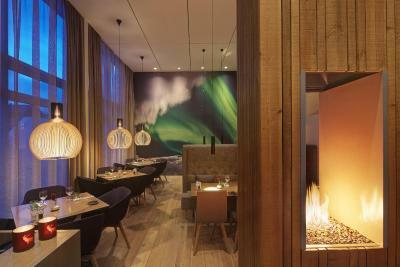 The ground-floor restaurant offers breakfast and lunch, while dinner dishes mix Icelandic and Mediterranean influences. 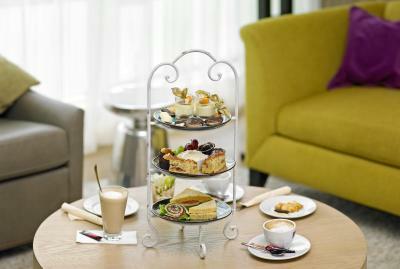 The Lounge Bar features a fireplace, drinks and daily afternoon tea. 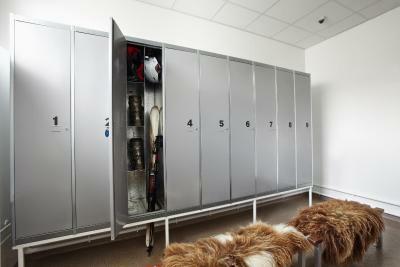 During winter, Icelandair Akureyri's guests can make use of the heated ski storage room. 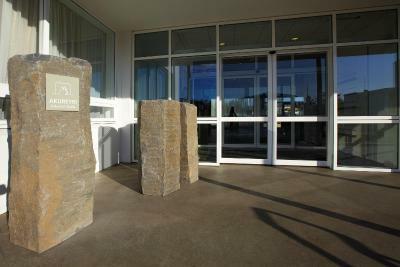 The hotel offers a 24-hour reception. 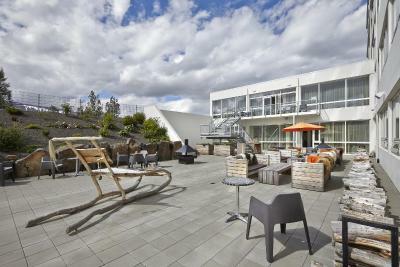 Akureyri Swimming Pool, with its geothermal hot tubs, is a 2-minute walk away. Jadarsvollur Golf Course is 1.6 mi away. 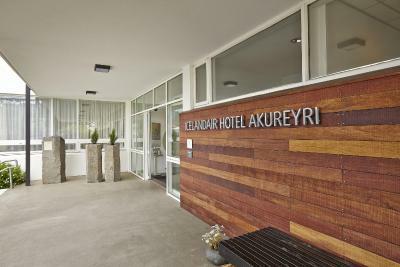 When would you like to stay at Icelandair Hotel Akureyri? 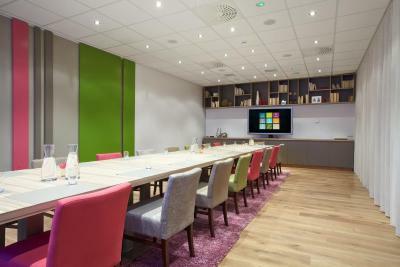 This brightly decorated room features a seating area, flat-screen TV and tea/coffee facilities. 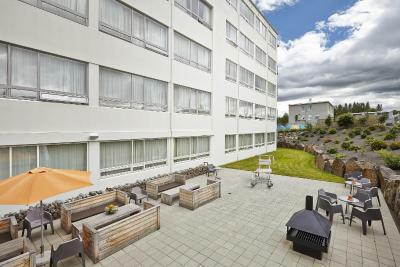 The family room offers views of swimming pool, Akureyri and the fjord. 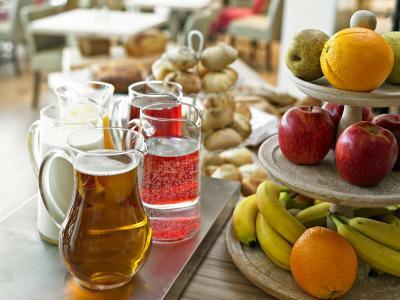 Facilities include tea/coffee facilities and a 32-inch flat-screen TV with satellite channels. This 5th-floor room offers mountain views. 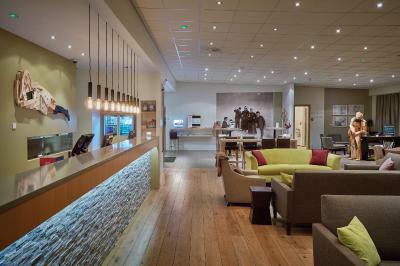 Facilities include a seating area, tea/coffee facilities and a 32-inch flat-screen TV with satellite channels. 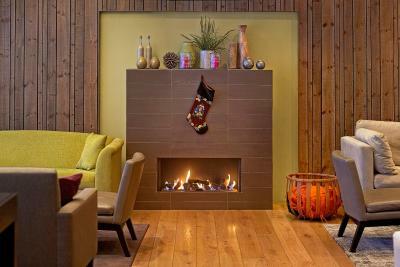 This brightly decorated junior suite features Icelandic design. 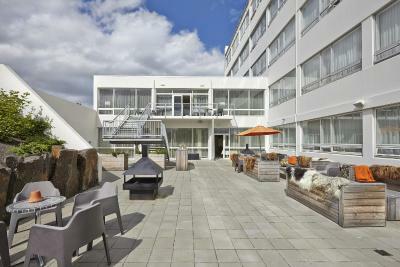 Located on the 5th floor, it offers views over Akureyri and the fjord. 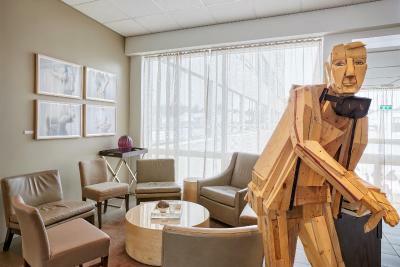 The junior suite has tea/coffee facilities and a separate living room with a seating area and 32-inch flat-screen TV. 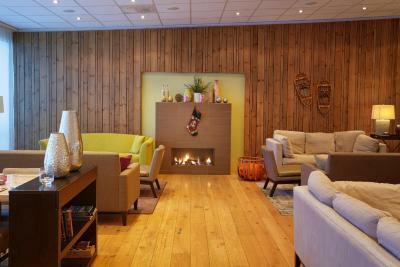 House Rules Icelandair Hotel Akureyri takes special requests – add in the next step! Icelandair Hotel Akureyri accepts these cards and reserves the right to temporarily hold an amount prior to arrival. 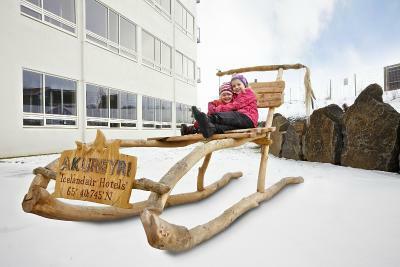 Please inform Icelandair Hotel Akureyri of your expected arrival time in advance. You can use the Special Requests box when booking, or contact the property directly using the contact details in your confirmation. We drove and parking was very easy as it was free next door to the hotel. Check in was painless and we were assisted with getting our bags to the room. Breakfast was delicious and varied enough to cope with any appetite. We were on the 5th floor and the view was astounding. Great base for looking around the area. The hotel was central in the town and easy to navigate to and from. The bar was also a welcome spot especially during happy hour. Curtains didn’t close all the way, and were too light considering it gets light early! Very vlean and fomfortable. Simple but had everything we needed, including a bathrobe and a good hairdryer. Even a cooffeemachine! Breakfast not included. Rooms were expences. No table for us on restaurant in evening. Still restaurant was almost empty when we three people came and still when we left. We were very happy, beacause icelander couple offer us place to enjoy dinner whit them in same table. We had two rooms. Three adults. Clean rooms. The room bathroom, lavatory and shower. Was very uncomfortable and weird located. We had the offer to upgrade for a good amount which was nice to know. They kept us up to date with the weather forecast and ski fields. No in house sauna - but there is one across the road at the swimming hall, although it was closed the two nights when we were staying there because of NY. No fridge in the room to store food etc. Was hoping for the fireplace to be on, but all days we were there it wasn't lit once. Aurora restaurant was great for dinner, accommodated food needs very well and great service. Location is great to walk everywhere around the lovely city and also close to all amenities. Nicely appointed rooms, albeit quite small. Great showers with fantastic water pressure. Staff always willing to answer any questions and help with making your stay enjoyable. 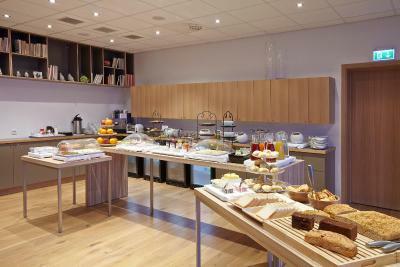 Comfortable bed, great shower and toiletries, lovely breakfast and very friendly staff. The breakfast buffet needed some more variety. The staff was very nice, and they had happy hour every night. The food was delicious at the hotel bar. The beds were very comfortable. Also, if you decided to forgo housekeeping you got a credit to use at the restaurant. 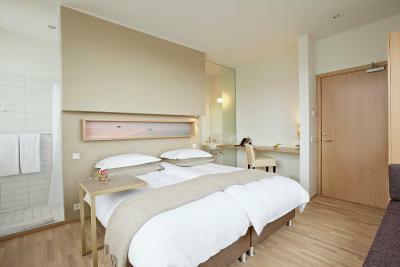 Excellent value - clean room and comfortable beds. I loved the large shower area in the room! 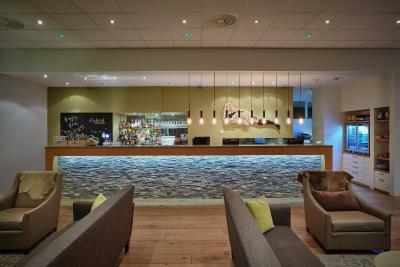 The hotel has a lovely atmosphere and is close to the centre. We had the most amazing experience of the northern lights which were directly above us. The view of the mountains from the hotel room was perfect! Friendly staff and helped us in planning our activity for the day. I would recommend this for comfort and cleanliness.